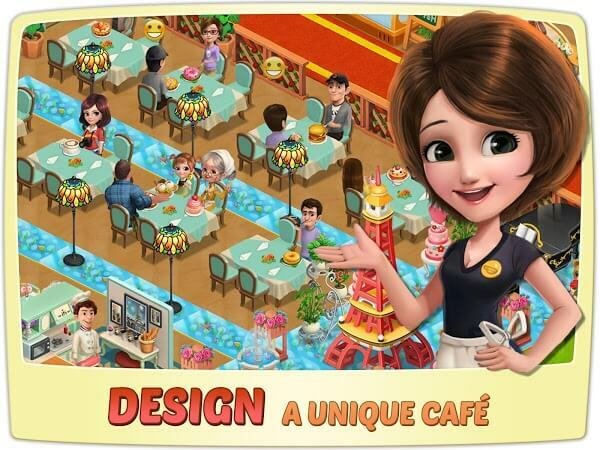 Cooking Country – Design Cafe is a fun restaurant management game and coffee shop with addictive gameplay and beautiful 3D graphics. You will have the opportunity to cook, serve the restaurant by cooking delicious food along with making delicious cups of coffee. Players can choose myriad of unique venues ranging from fast food restaurants, desserts,… to classic cafes, to luxurious Oyster Bar and Asian restaurants. You will be performing cooking skills and be exploring “techniques” to cook each dish for the best. 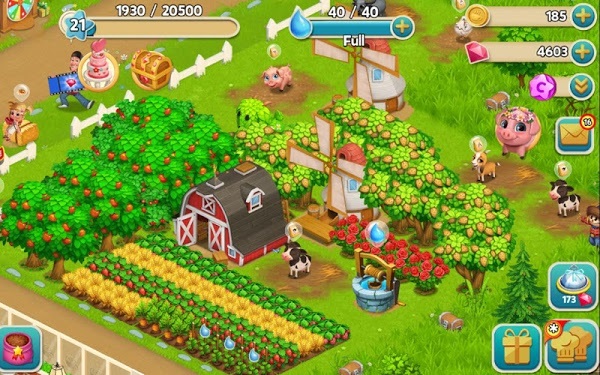 Cooking Country – Design Cafe is not a simple game, you have to know how to use hundreds of thousands of ingredients to cook different corresponding dishes, similar to the drinks. Combine ingredients to create a perfect menu. Try all kitchen utensils from the coffee maker, rice cooker, pizza oven to popcorn maker. In this game, a delicious dish is not decided all the things. First of all, you have to decorate your store so beautifully, the guests will pay attention and will return to your store if it attracts them. Color combination inside or outside the shop. Do the tables suitable for the luxury Japanese restaurants? Floors of granite or wood? It all depends on your creativity. 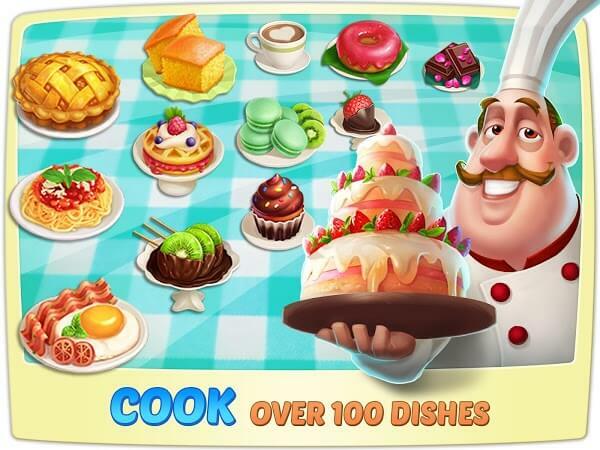 One of the cooking games and time management that allows you to download and play for free, Cooking Country – Design Cafe also plays like many classic cooking games on mobile phones such as Family Restaurant or Tiny Chef. Your goal is to pass on the customer service order. Here you need to prepare different types of food as well as drinks according to what the customer ordered. After they are served, they will pay you a sum of money to help you continue to grow your business and serve others. Here are some tips to help you increase your profitability as well as faster service. Upgrade your kitchen utensils to cook a number of dishes at the same time. It will be especially useful when you are dealing with “time” tasks. You can upgrade tables and chairs to serve many customers at the same time. Upgrade food warmers allow you to reserve more food for many customers. You may also consider buying more food warmers to be able to play better at the next level. The good part about this game is that you can play the upgrades to add gold to upgrade and unlock new features. Or you can also earn extra stars or experience to level up. As you level up you can also go to new content (cook new items and serve more customers). This work offers a lot of advantages but every time you upgrade, you lose gold or diamonds to speed up the upgrade time. Your money is limited (only earned by serving customers) and you wonder which upgrade should be before which one to make the most benefit? You can upgrade kitchen utensils so that you can serve several guests at the same time. Then comes the furniture such as bar chair, TV, desk, etc. For example, television can increase the length of time the customer waits. Or you can place the Disco ball to increase the waiting time.